The researchers — Materials Science and Engineering (MSE) and Biomedical Engineering (BME) Associate Professor Adam Feinberg, BME postdoctoral fellow TJ Hinton, and Kira Pusch, an alumna with a bachelor's degree in materials science and engineering — published a paper in the journal HardwareX that contains complete instructions for printing and installing the syringe-based, large volume extruder (LVE) to modify any typical, commercial plastic printer. "What we've created," Pusch said, "is a large volume syringe pump extruder that works with almost any open source fused deposition modeling (FDM) printer. This means that it's an inexpensive and relatively easy adaptation for people who use 3-D printers." As the researchers explain in their paper, "Large volume syringe pump extruder for desktop 3-D printers," most commercial 3-D bioprinters cost from $10,000 to more than $200,000 and are proprietary machines that are difficult to modify. 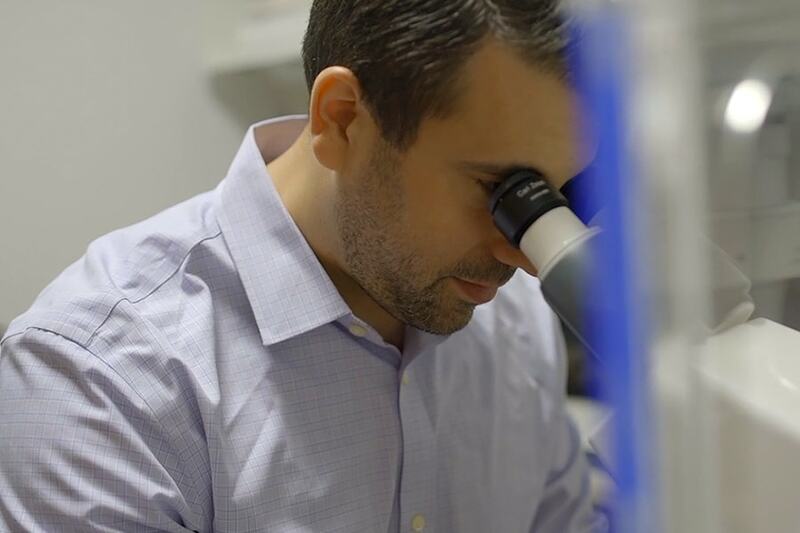 "Essentially, we've developed a bioprinter that you can build for under $500, that I would argue is at least on par with many that cost far more money," said Feinberg, who is a member of CMU's Bioengineered Organs Initiative. "Most 3-D bioprinters start between $10K and $20K. This is significantly cheaper, and we provide very detailed instructional videos. It's really about democratizing technology and trying to get it into more people's hands." Not only does the device cut down on cost, it allows users to print artificial human tissue on a larger scale and at higher resolution, opening doors for researchers, makers and professionals to experiment with 3-D printing biomaterials and fluids. 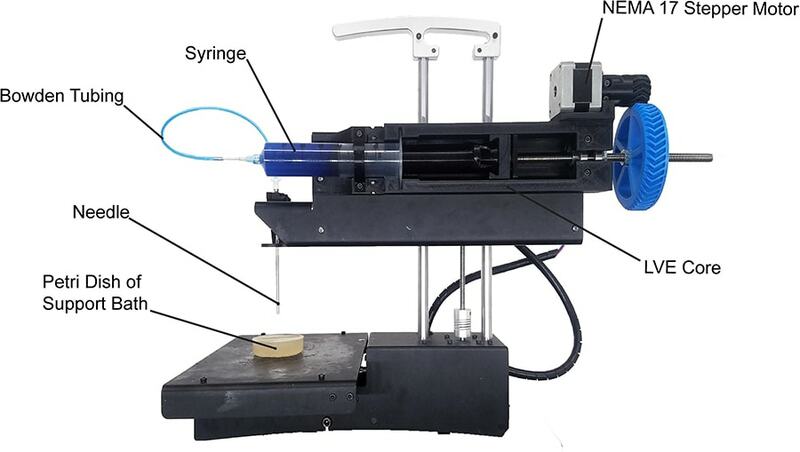 Instructions to install a syringe-based, large volume extruder to modify any typical, commercial plastic printer can be downloaded so that anyone can build a 3-D bioprinter. "Usually there's a trade-off," Feinberg said, "because when the systems dispense smaller amounts of material, we have more control and can print small items with high resolution, but as systems get bigger, various challenges arise. The LVE 3-D bioprinter allows us to print much larger tissue scaffolds, at the scale of an entire human heart, with high quality." "Bioprinting has historically been limited in volume, so essentially the goal is to just scale up the process without sacrificing detail and quality of the print," Pusch said. Pusch, the first author on the paper, was a research assistant in Feinberg's lab for three years. During that time, she received an International Summer Undergraduate Research Fellowship (iSURF) to work in the Netherlands and interned with General Electric's Center for Additive Technology Advancement. Following her graduation from Carnegie Mellon in December 2017, she began a spring internship at Formlabs in Boston and has since accepted a second internship position for the summer at Blue Origin in Seattle. Pusch has co-authored a second paper in ACS Biomaterials Science & Engineering with Hinton, "3D Printing PDMS Elastomer in a Hydrophilic Support Bath via Freeform Reversible Embedding." As a research assistant in Feinberg's lab, Pusch experienced real-world application of her research early in her academic career. "We envision this as being the first of many technologies that we push into the open source environment to drive the field forward," Feinberg said. "It's something we really believe in."